With spring comes nice warm weather and with that so does pest of all sizes whether it be your cockroaches right down to your wasps. So what is involved in a residential pest control Sydney? There is many different treatments to suit every client’s needs. 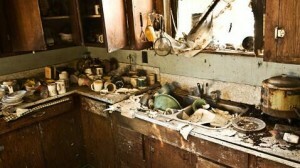 Each home is different whether it would be the size of the house or experiencing different pest invading your premises. With a German cockroach treatment the technician will firstly inspect your premises to see the threshold of German cockroaches which are in your premises. The technician will then do a skirting board spray and place gel in appropriate places such as cupboard door hinges, microwave, fridges/freezers, washing machines and other electrical appliances. 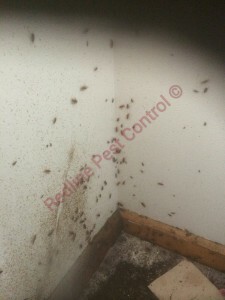 For German cockroach treatments a Redline Pest Control customer service agent will ask you what rooms you are seeing the German cockroaches in and how many you are roughly seeing each day. The customer service agent will then determine the level of infestation by your answers and will recommend which treatment is suited to your needs. With an ant treatments we once again will ask if you are seeing ants inside, outside or both and where exactly are you seeing the ants. For internal areas the technician will inspect and identify problematic areas where the issue of ants are. The technician will set up an ant baiting system using gel and will doing a window and skirting board spray, if you have ants along the wall he will also spray the affected walls. 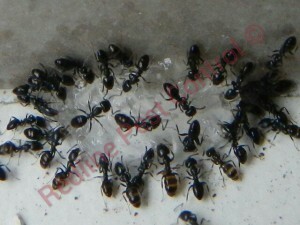 For external areas the technician will also inspect and identify problematic areas where the issue of ants are. The perimeter of your premises will be sprayed alongside with any ant mounds and trails. If you have an issue both internal and external both treatments will apply. With rodent treatments we will ask you where you are experiencing the issue whether it will be internal, external or both. We will also ask you what times are you hearing the noise if you are hearing noises in roof void as this very well could be a possum. 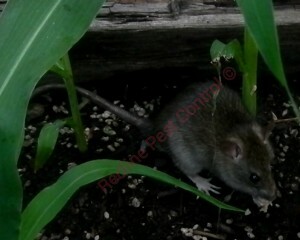 Rodents love their run paths and will often dart from place to place in a blink of an eye. Bait will be placed in roof void if you are hearing noises, bait will be placed in cardboard bait stations and will be placed strategically behind furniture, fridges, washing machines, dryers and any other places that rodents will frequent. When we bait outside for rodents we always try to look for places that the bait in cardboard bait stations can be strategically placed. If there is no place that the bait can be placed we will advise you that you will need to purchase lockable bait stations which is yours to keep and the best thing is they are reusable and all you need to do if you have a rodent issue again is to replenish the lockable bait station. A general pest treatment is recommend to home owners roughly every 12 months to avoid infestations to the pest listed below. 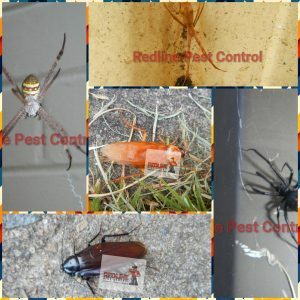 What Is Involved In A General Pest Treatment? Any cracks and crevices that the technician sees.